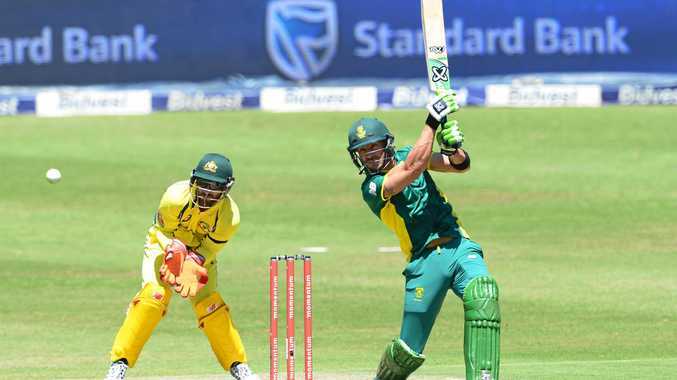 HE IS one of the best batsman in the world, and he has pulled the South African cricket team out of more tight situations than anyone has time to think of. He is well spoken, competitive, talented and a cheat. Well...that is if you believe the ruling of the International Cricket Council in relation to Faf du Plessis's ball tampering conviction. If you have missed the news, the South African captain was found guilty and fined 100% of his match fee for applying breath-mint laden saliva to a ball in a test match against Australia. Since the verdict, players past and present have spoken out in support of the batsman with Steve Smith the captain of Australia basically saying shining the ball with saliva is common practice. Indian super star Virat Kohli was caught on camera doing the exact same thing recently with no action taken. The question of law that we have to answer in this case is by applying saliva to the ball, did du Plessis tamper/alter the ball in such a way that it affected the ball in favour of the South African team? In my opinion the answer is no and honestly every one needs to calm down. If the powers that be were so concerned about the state of the ball, why do they allow boundaries with thick rope around them? Surely when a ball hits that at 80km/h the state of the thing gets altered. Could you not make it a mandatory rule to paint the boundary on? What I am saying is before you label someone a cheat you have to consider the effect of their action on the game. I really do not see how a bit of spit on a ball could prevent Australia from making runs.